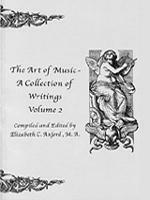 Anthologies of music-related poems (90 in Vol. 1, 78 in Vol. 2) by ninety contemporary North American poets, authors, and songwriters. Portions of the proceeds are donated to Breast Cancer Research. The editor, Elizabeth C. Axford, is a breast cancer survivor. "Greetings from Boston. I recently learned about your wonderful anthology series, and purchased Volume 1 on Amazon.com. I have spent many inspiring and enjoyable hours with this volume. Thank you for your important commitments to poets, poetry and music, and your own terrific poems! On a personal note, I have two breast cancer survivors in my family (my aunt Betsy and cousin Teresa), and was glad to see proceeds from the first volume donated to the American Cancer Society." "I used this book on two different summers in my advanced poetry class at College of DuPage. The students enjoyed the variety of styles in this book, and found the nature of the poems appealing. Also, they were happy that they received a high value for the economical price. Overall, students of poetry writing were more enthused about this book than other textbooks used previously." "I too am a breast cancer survivor, and I am happy to participate in this project. Best of health to you!" "I was so pleased with my copy. It is an exceptionally attractive little book, with some great pieces. I just had to thank you for the beautiful work you do. I am ordering two copies of Vol. 2." "Thanks very much for your fine publication." "I am very pleased with the book." 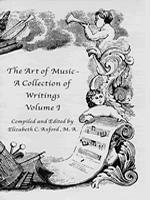 "The Art of Music – Vol. 2 is so beautiful. Any music lover would be delighted to read it." "Since my wife was a music teacher for 20 years, she has many friends in the field who will want copies." "Thanks again for such a fine job on The Art of Music. I was totally surprised about the contest and even more surprised that 'Two Sisters' won first place. As you learned from when we spoke today, that selection has special meaning for me…I can't tell you how pleased I am that Anita's and my poem will be in your next collection. I just spoke with Anita's son-in-law, who told me that their 13-year-old daughter, Mischala, had memorized 'Piano Teacher' and recited it in her speech class. How is that for synchronicity?" "I'm sorry that it took so long for me to contact you after this fantastic collection came out. I, and others I showed it to were very impressed."